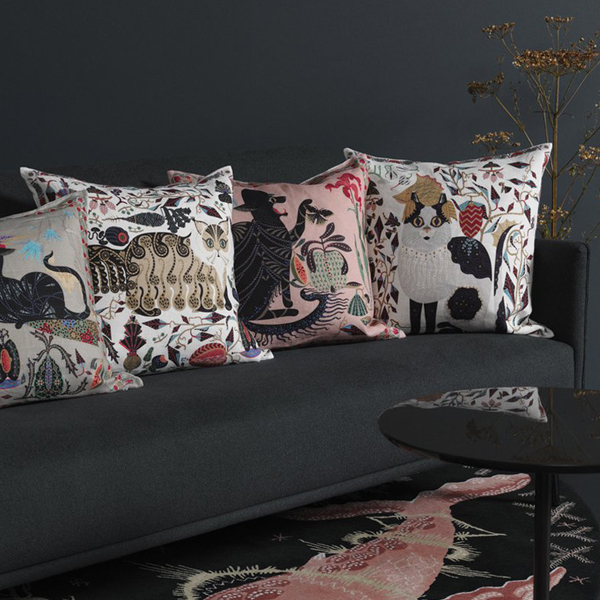 Klaus Haapaniemi’s Les Chats cushion cover collection depicts his cat Putte and its feline friends Monster, Ryder and Norma from East London. 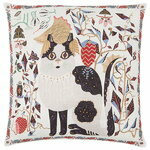 The front side of each cushion cover features a print of a charming cat character accompanied by detailed exotic fruit and flowers. 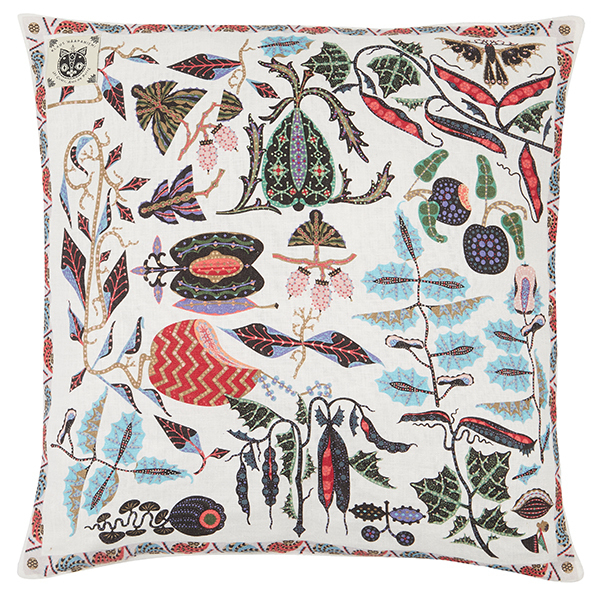 The mesmerizing botanical motifs also adorn the backside plus form a beautiful ornamental frame around the felines. 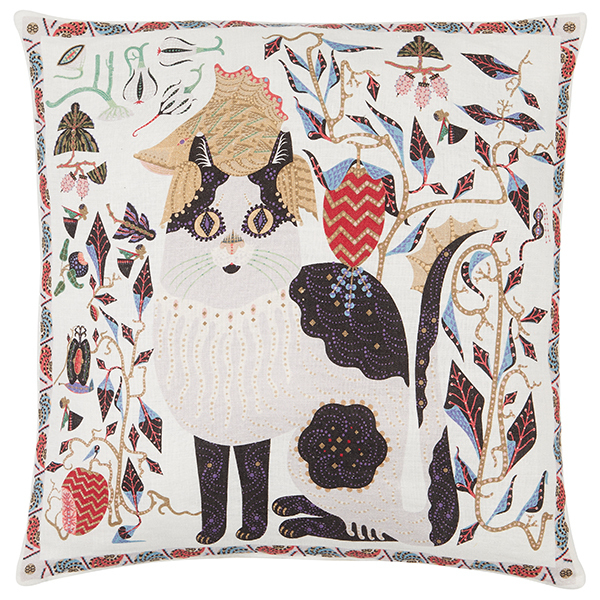 The Les Chats cushion covers are made of cotton and linen mix and make lovely, eye-catching additions to any sofa, bed and armchair.